This time last year i was working part-time in retail and it was a struggle. My husband works full time and without any family to help with childcare we had to rely completely on nursery. It soon became apparent that it wasn't worth me working because of the cost of childcare and i left in February 2016. 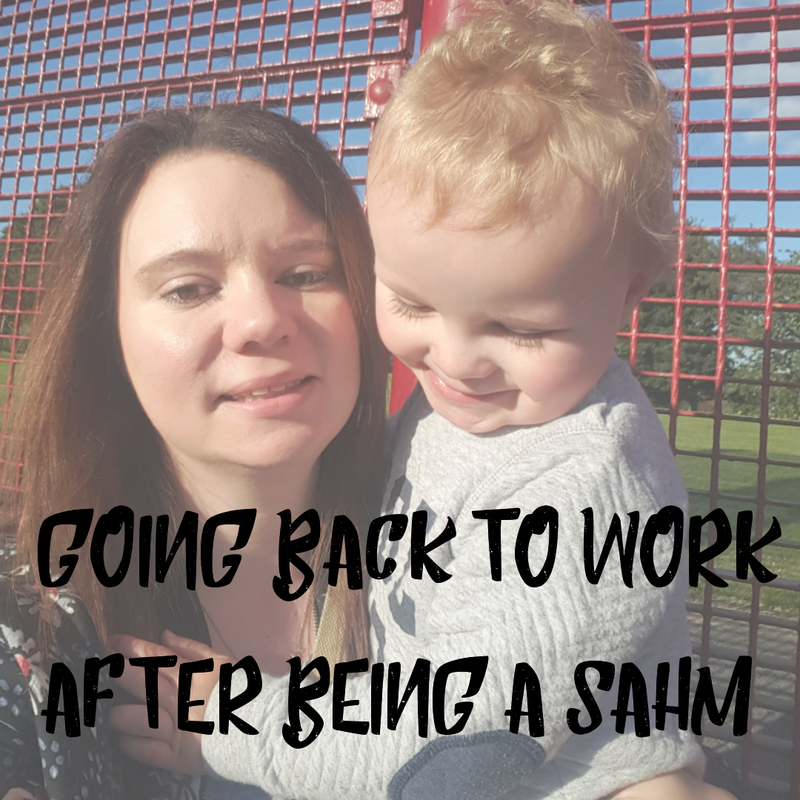 I've been a SAHM for 11 months and finally i am starting a full time job this week. Going back to work after you've had kids is a difficult decision to make, a lot needs to be considered before even applying for jobs. In our situation of having no family to help with childcare, we know that i would have to work full time to make it worth having a job and paying for childcare. 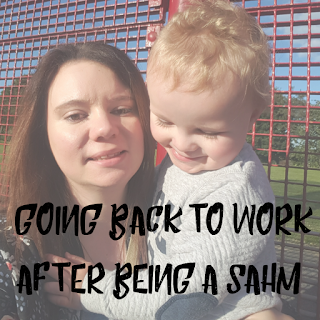 I never planned to be a SAHM for as long as i have been but honestly i feel like there is no help or encouragment from our government to get parents back into work. From this week both me and my husband will be working full time so Joey will go to nursery full time at a cost of £700 per month. But being stuck at home most days not doing anything has taken it's toll. Joey has desperately needed to be in nursery in order to improve his speech and development. Now that I'll be earning money I'm looking forward to treating myself now and again and to be able to start decorating our house. Being a SAHM has had it's ups and it's downs, I'm glad I've been able to spend time watching Joey grow up but it's now time for a new chapter. I'm really excited to be getting back into work though, and I can't wait to see Joey improve by going to nursery. I will keep you all updated on how life is being a full time working mum and Joey's development.